You would think that I had been sitting at home, doing nothing since my last out and about post but that is not the case. We have been overseas, entertained house guests and made a new discovery. There was a weekly farmers’ market at Paardevlei in Somerset West. Sadly, no sooner had it opened and I had got used to buying organic vegetables from a local farmer, it had closed. I can only hope the market will be resumed sometime soon. Here is more about where I have been Out And About up to Friday 27 November 2015. 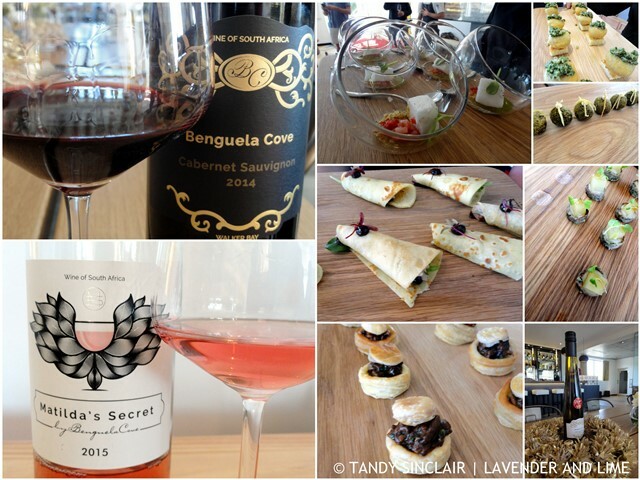 I was invited to attend the new vintage launch of Benguela Cove Wines at their recently opened restaurant and wine tasting bar, Benguela on Main in Somerset West. 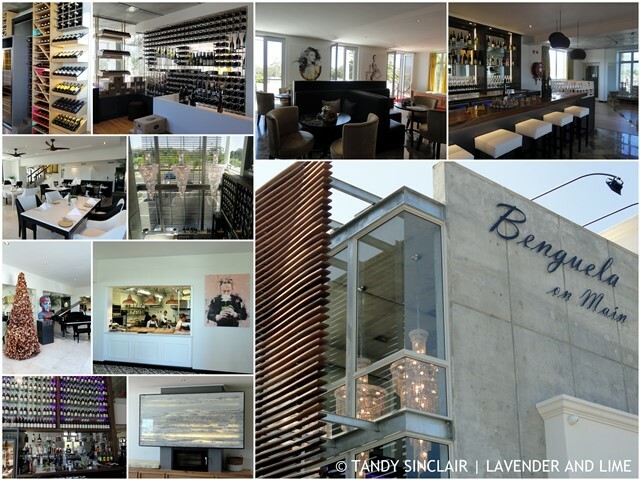 The venue has been revamped and the space is stunning, and wonderfully appointed. We got to taste 6 of their wines which were paired with canapés in the wine tasting room upstairs. Personally I thought that the tomato marshmallow went better with the Benguela Cove Noble Late Harvest but the chef thought the Matilda’s Secret Sauvignon Blanc was the better pairing. The wines were really good, and the cellar door price is reasonable. The bites of food were tasty but I could have done with a few more. Dave and I will be dining at the restaurant this evening where we will be sure to enjoy more of the kitchen’s creations. Watch out for the review. Disclosure: I was invited to attend this event by Carla van der Merwe, Marketing and Communications Strategist for Benguela Cove. I was not asked to blog about it. This post is in line with my blogging policy. 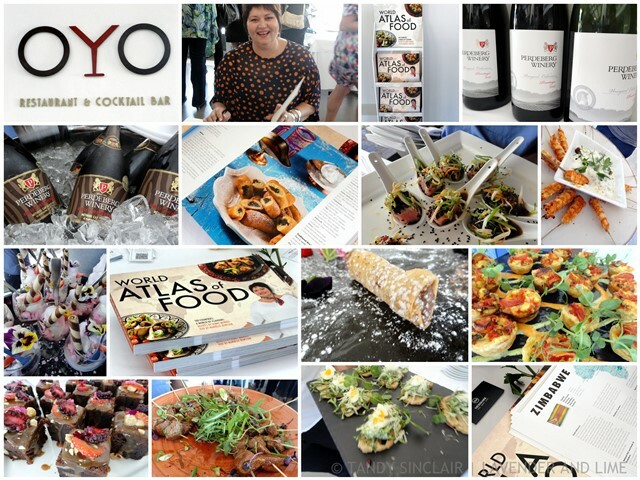 I also attended the launch of Jenny Morris’s new book, World Atlas Of Food. I have not yet had the opportunity to page through it but I am sure it will be excellent. The launch was held at Oyo Restaurant, owned by the Newmark Hotel Group, that also owns Dash Restaurant. They provided amazing finger food for us to snack on and there was plenty to go around. The best bite I had on the day was a version of Eton mess. Perdeberg provided the wines and champagne and we were presented with a bottle of Jenny’s specially labelled wine to take home with us. Disclosure: I was invited to attend this event by Elize Engle from Wired Communications. I was not asked to blog about it. This post is in line with my blogging policy. Busy! Shame about the market. We had a similar situation with one close by. It just couldn’t get the traction it needed. Plenty of other markets but the one that closed was so handy. Oh well. They had the traction – just a dispute with the owner of the place that was hosting it! How sad that the farmers market closed! I used to live by a beautiful farmers market in Cheshire and miss it now I live in Brighton! Sounds like youve been having a delicious time! 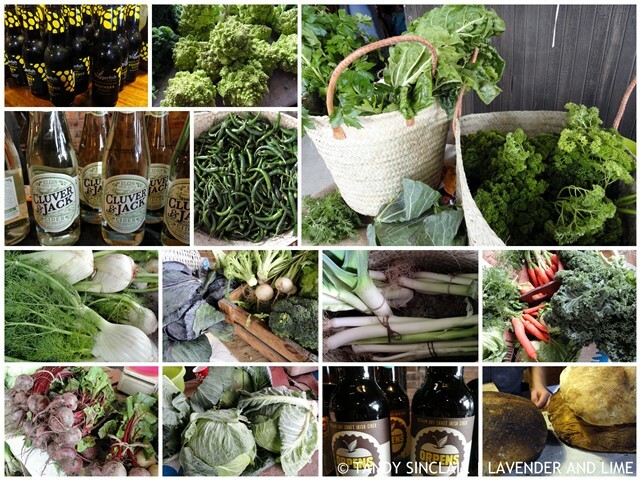 I always love to see green veggies – ah! Best thing ever :). Looks like you had a fun, busy, and delicious Friday! You certainly have been busy Tandy, looks like you are having a grand time.